We enjoyed a perfect outing to Littlehampton on Wednesday. We spent some time on Tuesday planning our route with the aid of an atlas and predicted correctly that we would use the M23 and the A24! We visited the top of the Look and Sea Centre to view the River Arun flowing into the sea. 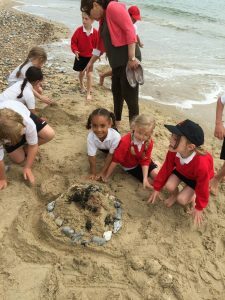 Among other activities the children were given the opportunity to sort objects and to decide which materials would not be found on the beach. We caught the little train along the front, waving to other beach visitors on the way. 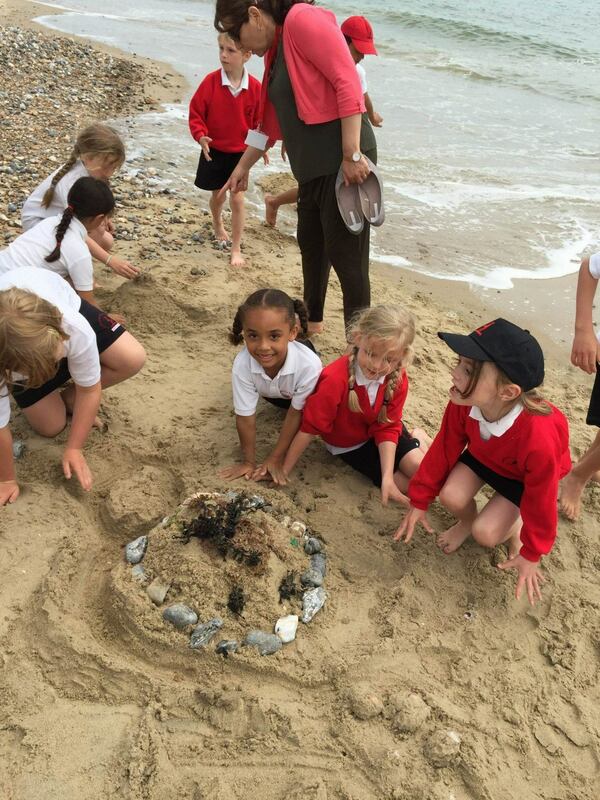 In the warm sun we paddled in the sea and built creative sand, stone and weather constructions. We enjoyed an ice cream before setting off back to school. It was a day to remember!